Spartan cricket bats at discounted prices from the Discount Cricket Outlet. The new Spartan range is taking the cricket retail world by storm and is certainly one of the biggest selling cricket bats at Discount Cricket Outlet. Also priced very competitively why not stock your cricket bag with a Spartan cricket bat? Spartan cricket bats are hand made in India with their head office based In Wollongong, Australia. All the Limited Edition bats are made from the same willow and to the same specification that Michael Clarke's and Chris Gayle's bats are. There is now a Spartan distribution point in the UK which houses thousands of cricket bats and equipment. 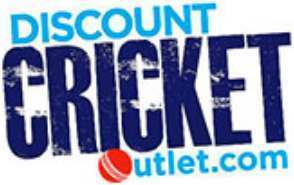 Discount Cricket Outlet purchase hundreds of Spartan cricket bats every season allowing us to price the bats extremely competitively to save all cricketer's pockets. A batsman, a leader, a personality, a legend? Michael Clarke may not have reached cricketing legend status yet but he has scored over 7500 runs in both Tests and ODIs, is captain of his country, played in six Ashes series, won numerous world cups and trophies and is the other half of an Australian super model and the Oz version of Posh & Becks. How does he do all of this? No idea how he manages off the field but on it, he uses the Spartan MC Range. The Spartan MC range is one of the very best cricket ranges available. The pick up, the power and the style is unrivalled. With tattoos, modelling contracts and his own brand of perfume , Michael Clarke has his own style, whilst using his Spartan MC Cricket Bat he oozes more style than he could ever manage off the pitch. He is one of the best players of spin outside the subcontinent, his slow left arm is underused due to a sore back but his batting and his captaincy are aggressive, strong and full of success. Destructive, devastating, deadly & lethal. These could all be words used to describe the unstoppable force that is Chris Gayle. And what does Chris Gayle use to cause all this damage to bowler's figures, to scatter spectators and to smash stadium windows; the Spartan CG Range. The Spartan CG Range is new, its exciting and its here now, at Discount Cricket Outlet we werent the first to sell Spartan, but we are the best to sell Spartan and we are still selling Spartan now all the other retailers are trying to catch up. Where better to pick up your Spartan Cricket Bat than at Discount Cricket Outlet? Each of the bats has the huge CG potential built into them to give you the helping hand you need to scatter cars, spectators and break all of your own records. Quite simply, Chris Gayle is the most destructive batsman on the planet, throw in a few other big name hitters like Sir Ian Botham, Sir Viv Richards, MS Dhoni & Shahid Afridi he still might come out top of the pile as the most dangerous batsman ever to have lived.